The 2019 Audi A6 is set to debut at the Geneva Motor Show this week, but the automaker has offered a sneak peek at it and tech lovers are going bonkers. It’s been just a few years since the A6 received a facelift, but apparently, Audi decided that it needed another one. The 2019 model marks the eight generation of the automaker’s full-size sedan. The 2019 Audi A6 looks pretty much like most of the company’s other cars, but it offers something extra for gadget lovers, the automaker explained in a press release announcing the redesign. The updated version of the car continues to sport the slightly arching roofline, which is common among the company’s cars. It’s roughly the same size as the previous generation, although it looks a little more angular in front, and its back end is easily comparable with that of the first Audi Quattro. The 2019 Audi A6 also features more legroom and improved aerodynamics, the automaker added. The car’s body is especially rigid and designed from aluminum and steel. Audi also said there’s more shoulder and headroom in both the front and back, and there’s more room for luggage as well. 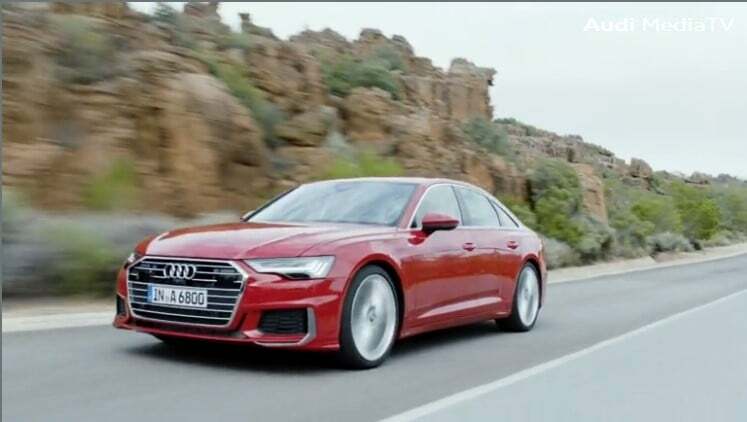 The 2019 Audi A6 is also designed to be sportier than its predecessor and features multiple suspension options that are all aimed at making it feel as sporty as it looks. The car features all-wheel steering with a varying steering ratio, and the wheels have also been made bigger than those on its predecessor. The car features two engines, one gasoline and one diesel, and a V6 turbocharged engine. Both engines are also made with mild-hybrid technology. Given the growing importance of artificial intelligence technology, it comes as no surprise that the 2019 Audi A6 also sports a “natural-language control,” which the automaker claims turns it into “an intelligent dialog partner and travel companion.” The automaker explained that the car is able to process both commands and questions using data that’s stored onboard and/ or additional information gleaned from the cloud. Buyers can select between standard MMI navigation or MMI Navigation Plus, which Audi describes as “a media hub with a new design.” The 2019 Audi A6 is even able to learn common routes the driver takes and offer search suggestions. For navigation, the car users maps from HERE, which also use traffic information when calculating routes. Other optional add-ons include two different sound systems and Audi connect online services. The automaker also plans to roll out a parking service to the car not long after it launches to make it easier to find a space on the streets. The A6 is also decked out with parking and garage driver assistance systems, which at first glance seem somewhat akin to Tesla’s Summon feature, in that they will autonomously park and move the car into or out of a garage.